Beirut distributing free compact florescent light bulbs! YAY for the city of Beirut! 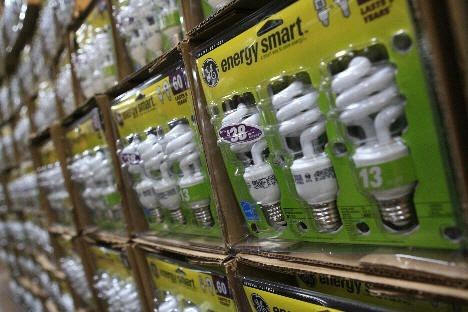 In an unprecedented initiative to reduce global warming (and electricity bills), and since the Beirut Municipality care about its citizens and about the environment, the municipality gave away free compact florescent light bulbs at all Beirut Library branches this Saturday between noon and 4 p.m. 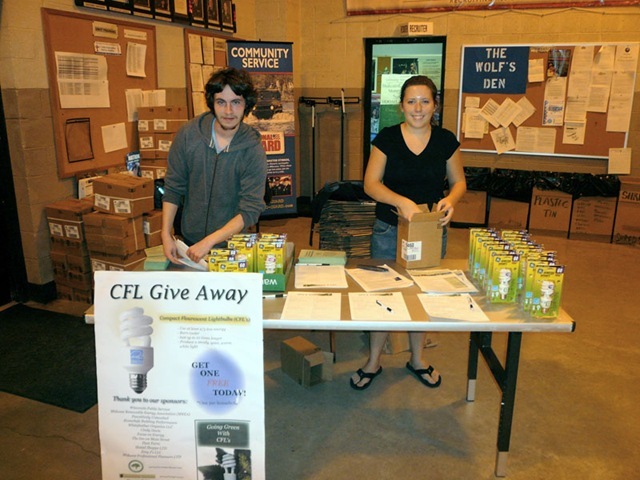 The bulbs are provided as part of City Light’s Twist & Save program. Finally, the public servants are doing some real work for the salaries we pay them! Beirut – Mayor Abdel Mounim Ariss joined community and business leaders today to launch Beirut Climate Action Now, a grassroots campaign to encourage everyone in Beirut to reduce global warming pollution at home, on the road and in their neighborhoods. Sponsored by the city of Beirut with the support of community groups & nonprofit organizations, Beirut Climate Action Now (www.beirutcan.org) will help people make smart choices to protect the city and the planet from the threat of climate change. Using online resources and community events, the public awareness campaign will connect people across the street and across the city make a difference for the future of our environment. Beirut is working to reach that goal by providing clean, renewable energy through City Light; encouraging the construction of energy-efficient commercial and residential buildings, promoting the use of alternative fuels; and making it easier and safer to walk, bike and take transit. A centerpiece of Beirut Climate Action Now is a new web site – www.beirutcan.org – that will make it easy for everyone to get involved. It features simple steps that people can take to cut carbon emissions that are causing global warming. The site’s calendar and homepage will be a clearinghouse for information about climate-related events and activities across the city. The web site will also feature Zerofootprint Beirut, a first-of-its-kind climate-action planner that allows people to develop personalized actions plans for reducing their climate pollution. Zerofootprint Beirut also allows residents to see the effect of their actions individually, and it adds them up to show the community-wide benefit. This blog post about the issue of climate change on October 15th is part of the Blog Action Day annual event.